JPMorgan Chase is the second largest card issuer of credit cards in the U.S. with over 80 million cardholders and $131 billion in outstanding credit card loans. 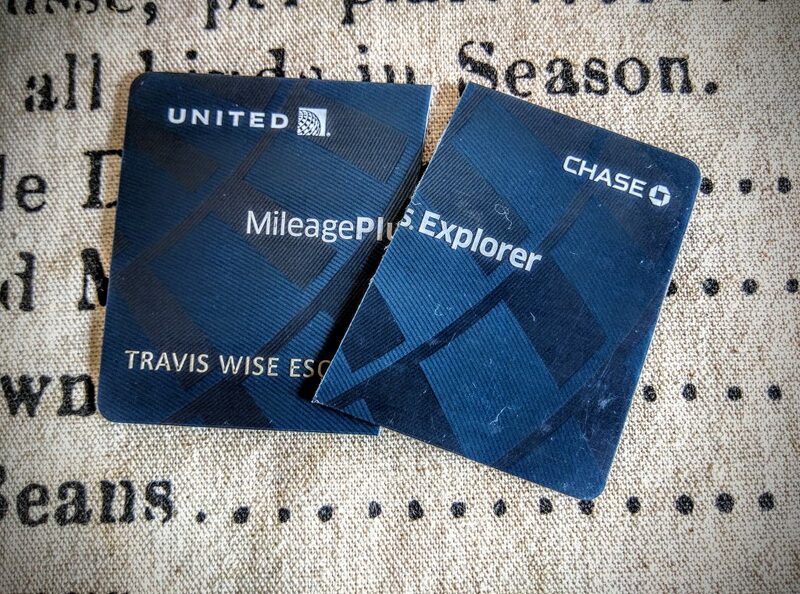 In recent years, the Chase Sapphire Preferred and Reserved cards have been extremely popular with bonus points chasers and many card-enthusiasts thanks to 2x and 3x points on travel and dining and no foreign transaction fees. Those cards however have an annual fee, which in the case of the Chase Sapphire Reserved is a hefty $450. If you have a Chase credit card and want to lighten the load on your wallet, both literally and figuratively with the Sapphire cards, follow these instructions on how to easily cancel your card online, by phone, or mail. 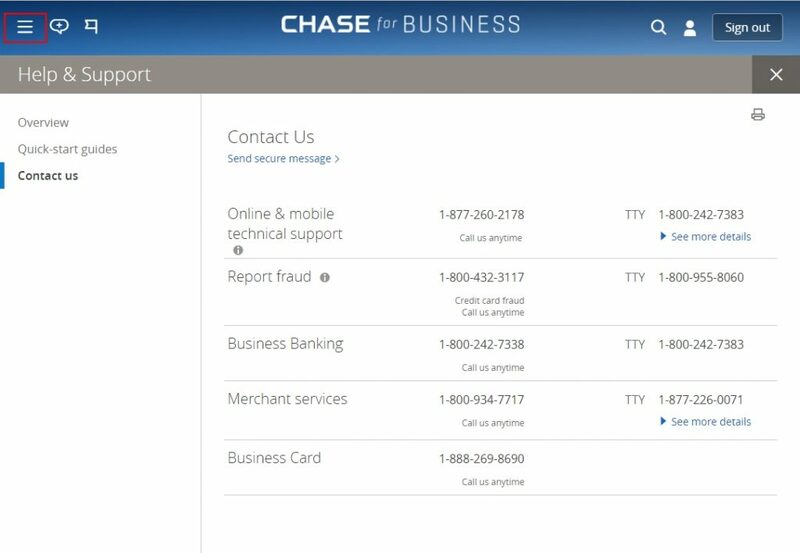 Like many other credit card companies, Chase prefers cardholders to call their customer service representatives to close their account so they can convince you to keep their card active. 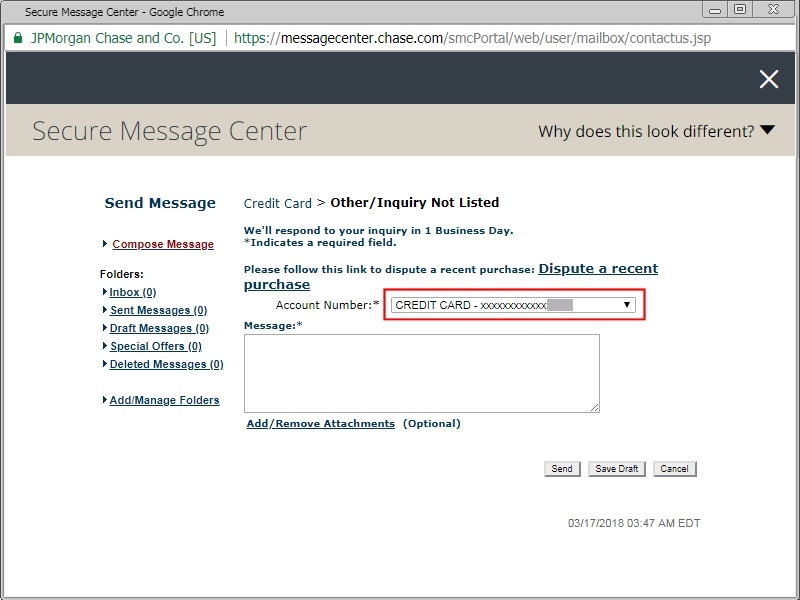 Because of this, Chase doesn’t advertise an easy to find webpage to cancel your card. 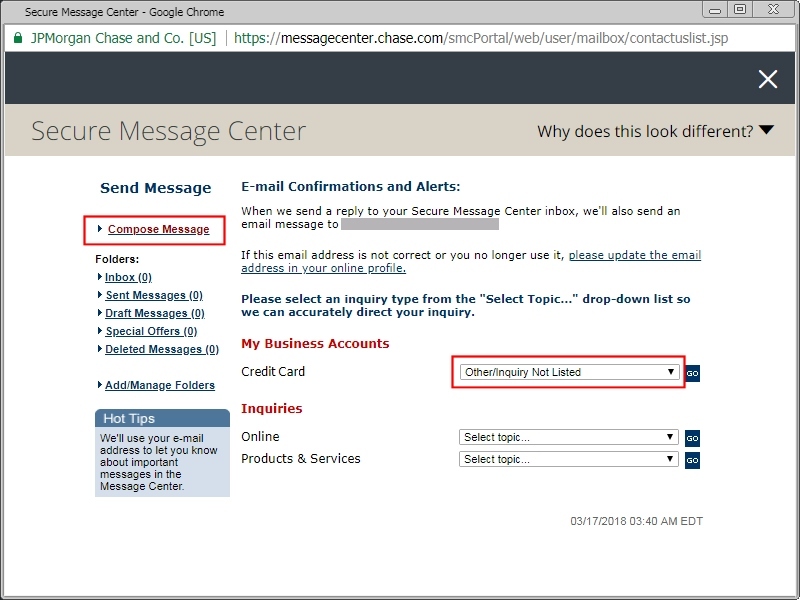 Instead, you will need to email Chase through their Secure Message Center. 2. Once logged in, click the menu button, which is the three horizontal lines located at the top left of the page. 3. Now click the “Secure Messages” link, which will pop up a second window for the Secure Message Center. 4. Click “Compose Message”. Verify that your email address is correct at the top of the page. 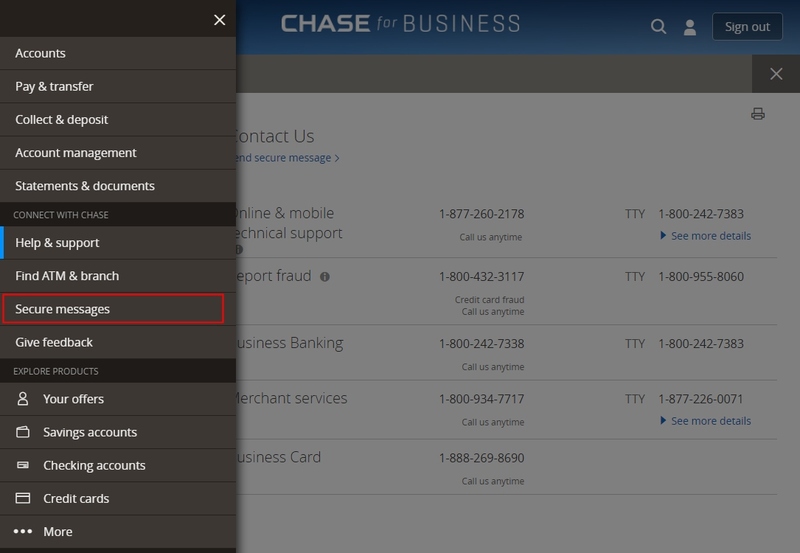 Then under the “Credit Card” section, select “Other/Inquiry Not Listed” in the dropdown menu. 5. Choose the credit card you want to cancel in the Account Number dropdown menu. Please cancel this credit card effective immediately. Please also notify the credit bureaus that this account has been “closed by request of cardholder. 7. Click “Send” and check your email over the next few days for a reply in your Secure Message Center that your account has been closed. Chase representatives are available 24 hours a day, 7 days a week. According to GetHuman, the fastest way to reach a live person is to press 0# each time it asks for your card number or pressing 0 at all the other menus. Upon speaking with a representative, be sure that they report to the credit bureaus that your account was “closed by customer’s request”. You may want to follow up the phone call with a written letter to confirm that the account was closed as requested. Do not send your cancellation letter to the payment address listed on the payment slip. You can use the sample cancellation letter below that you can copy and paste to a Word document. Replace the parts that are in red with your own information. Then print it out, sign it, and keep a copy for your records. You may also want to consider mailing it by certified mail to get a tracking number to verify that Chase successfully received your letter. This letter is my official notice that I am terminating my CHASE CREDIT CARD NAME credit card effectively immediately. Please close the account listed below and send a written confirmation that the account has been closed. 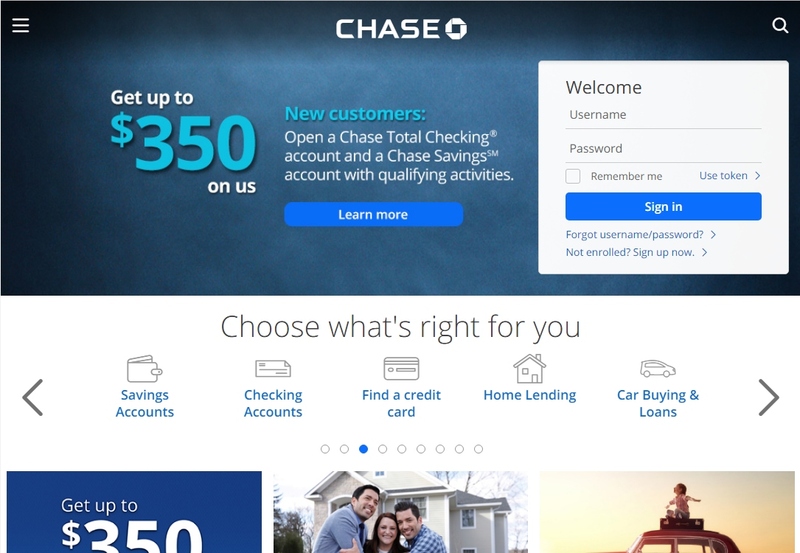 Chase Ultimate Rewards points do not expire as long as your account is open. However, you will lose any points still in your account if you voluntarily close your account before they’ve been used. You have several options if you are looking to cancel a credit card with Ultimate Rewards points. If you have multiple Chase Ultimate Rewards points earning credit cards, you will not lose your points if you transfer the points to another card that you are keeping open. The drawback to this option is different cards may value each point differently. Usually you will get the most value for your rewards points by using them for travel. For example, if you use your points for travel booked through Chase’s Ultimate Rewards travel program, each point is worth 1 cent with the Chase Freedom card. Points from the Sapphire Preferred card are worth 1.25 cents each, and the Sapphire Reserved’s points are worth 1.5 cents each. If you have a Sapphire Reserved card and you transfer the points to your Freedom card, your points will lose 33% of their value when redeemed for travel. Another option to save your Ultimate Rewards points is to transfer your points to one of Chase’s transfer partners at a 1:1 ratio in 1,000 point increments. As of this writing, there are 9 airlines and 4 hotels you can choose from. The last option is to redeem your points at a rate of 1 cent per point by getting a credit on your monthly account statement to reduce your balance, with gift cards, or an electronic deposit to your checking or savings account . The minimum amount of points needed to exchange for cash is 2,000 points. If you are canceling a Chase card because of the annual fee, you can consider downgrading your card to a no annual fee card. As long as you choose a card that offers Ultimate Rewards, you can keep your points and even prevent your credit score from taking a hit from canceling a card. Due to how the FICO credit score is calculated, canceling a credit card may negatively impact your credit score. 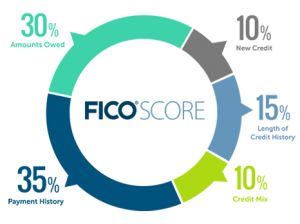 The two components of the FICO scoring model affected by closing an account is your credit utilization ratio and your average age of accounts. The utilization ratio makes up 30% of your score and is the one that is immediately influenced by an account closure depending on your amount of revolving debt and the amount of total credit on your remaining cards. If closing your Chase card causes your utilization ratio to spike, your score will drop. However, if you religiously pay off your balance each month or your ratio stays below 30% after the closure, you will likely see a minimal effect on your credit score. The other factor influenced by closing your card – but in the long run, is the length of your credit history. This factor only makes up 15% of your score. Because accounts closed in good standing will continue to report on your credit file for up to 10 years, your credit history length will continue to age until the card falls of your credit report a decade from now. When this happens and if you do not have any other open credit cards or if all your other cards were opened recently, then the average age of your credit accounts will decrease and lower your credit score. While seeing a drop in your credit score might seem bad, closing a credit card can still be worth it. It is never worth keeping a card active if you are paying hundreds of dollars a year in annual fees for a card that you are not using to its full potential. It is also a good idea to close a card if having a card available causes you to binge spend.